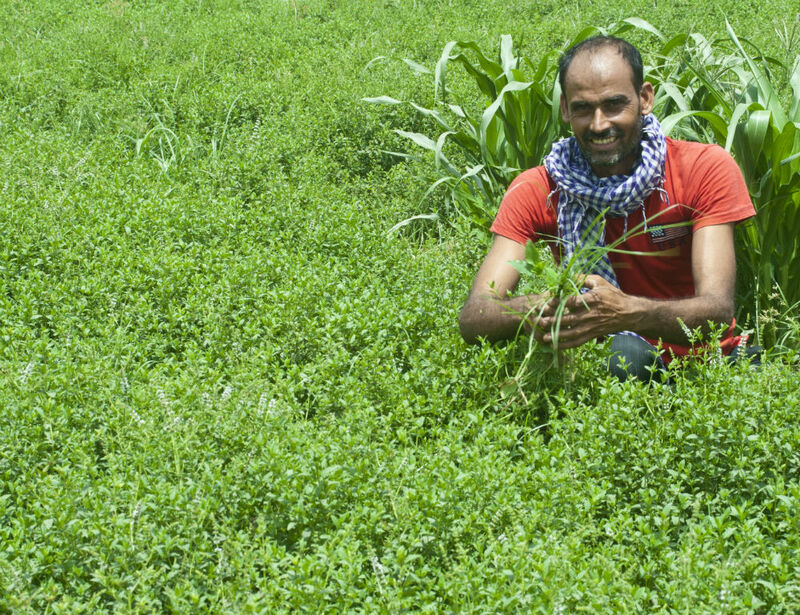 Take a Closer Look at Our Essential Oil Producers – The Peppermint Harvest, India - Amphora Aromatics Ltd – Supplier of pure essential oils and aromatherapy Products. it is no surprise Peppermint essential oil is one of our bestsellers. Commonly used in cosmetics and household items, Peppermint also blends well with other oils. But where does it come from? In the right conditions Peppermint plants grow prolifically. Native to Southern Europe, Peppermint is now cultivated in countries all around the world and our Peppermint essential oil comes from India. In recent years, India has overtaken other leading producers of mint, such as China and Brazil, due to its fertile soils and suitable climate conditions. Light showers at planting stage and ample sunshine at the time of harvesting enables our producers to create quality oil. In Northern India, between Deli and the border of Nepal, our producers are getting ready for picking season (March – April). Mentha Arvensis is an herbaceous perennial variety of Peppermint which grows up to 90cm tall. Producing light purple flowers, the plant is harvested at the flowering stage. 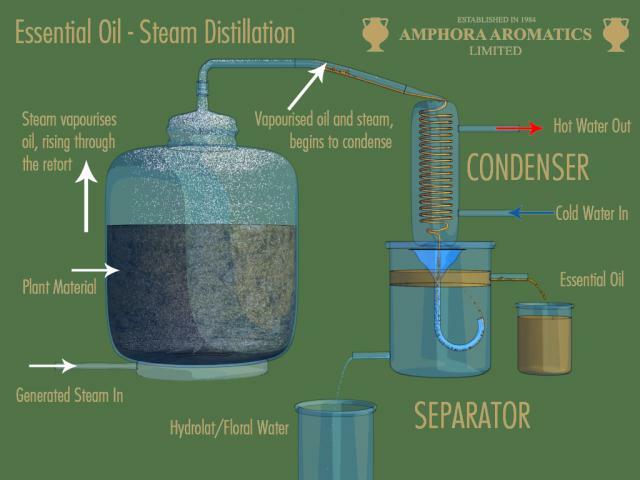 Once harvested the plants undergo a steam distillation extraction process (see diagram below). The Peppermint is heated and the steam produced vaporises the oil. The oil and steam is then passed through apparatus and begins to condense. The cold water and oil is gathered and naturally separates. The essential oil is syphoned off leaving a hydrolate by-product. The pure steam-distilled Peppermint oil is then barrelled and shipped to us here in Bristol for all our lovely customers to enjoy. - Can be good for calming itchy skin - you just need to add one drop to your bath. - It may calm an upset tummy - try diluting it in a carrier oil and then massaging the affected area in a clockwise direction (in skincare and massage Peppermint should be diluted to 5% or less in a carrier oil. - You may also find it useful in a foot bath (not more than 3 drops) to cool and deodorise feet. - Good to use in conjunction with Lavender and Marjoram during winter, either as a chest rub (diluted with carrier oils) or to burn or vaporise. 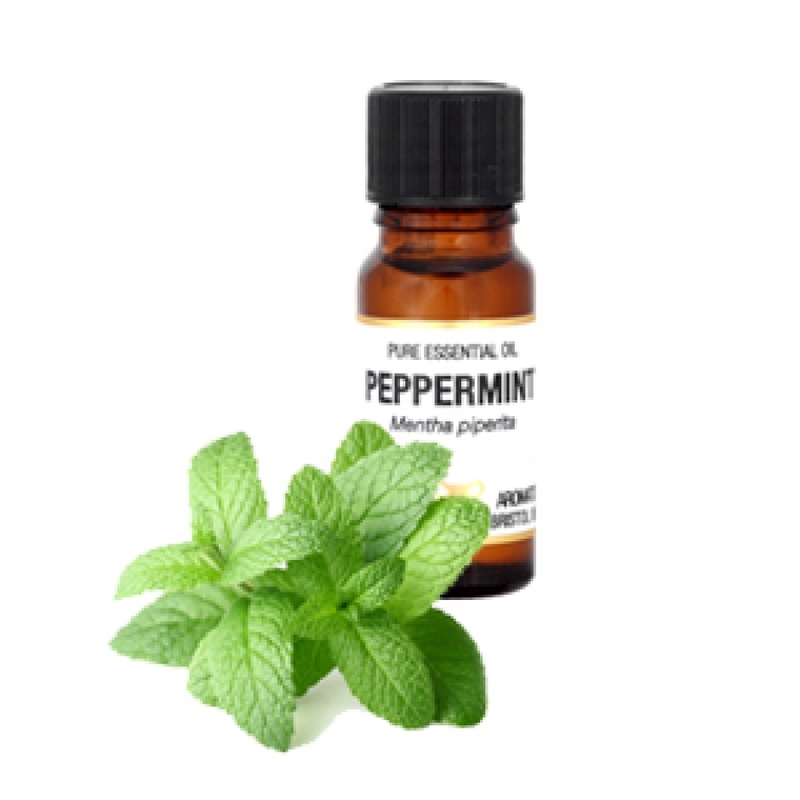 - Peppermint has a lovely cooling action which can help clear nasal passages when used in a steam inhalation. - When blended with a cream, it can reduce the irritation caused by sunburn and ease the redness of inflamed skin. - When burned or vaporised it can also act as a mental stimulant, refreshing the mind and boosting concentration. It can ease headaches, cool and calm anger and hysteria. - It is also a useful deterrent for vermin - e.g. mice, rats, ants and cockroaches, especially when combined with Eucalyptus. - It is a very refreshing and enlivening oil so best avoided during the evening or at bed time. All our essential oils are 100% pure, from one botanical source, unless otherwise stated. Organic (Soil Association Certified) Peppermint Essential Oil is also available.